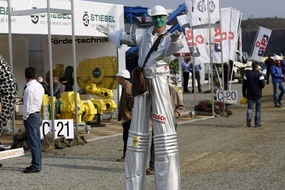 Optimise your trade fair presentation at steinexpo with additional advertising and marketing actions for a successful multiplication effect of your company presentation. 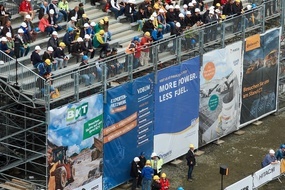 We offer you several efficient advertising options with which you can place the spotlight on your company in and around the "trade fair quarry". Multilingual visitor information, guest tickets, stickers, posters, online banners, steinexpo logos, your company logo in the list of exhibitors/options, etc. 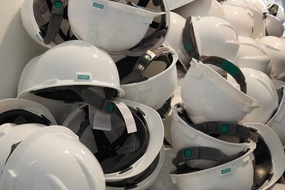 – make use of these materials and options to support your successful trade fair presentation at steinexpo 2020 – simply order the required quantity in the Exhibitor Service Centre. 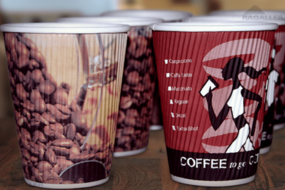 Whether it is a product placement, your individual banner advertising in the quarry, your advertising on the exhibition shuttle buses or your company logo on the crockery of our trade fair caterers, you will find tailor-made onsite advertising options in your offer catalogue. Complement your trade fair presentation by featuring in the steinexpo trade fair catalogue for optimum exposure. Make use of this opportunity to highlight your company over and beyond the free entry. Place your logo, list your expertise or place an effective promotional ad! 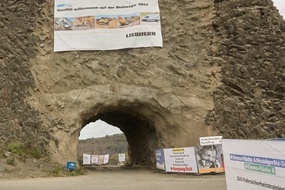 ... the provision of technical media releases on the presentation of your company at steinexpo 2020 is key to the pre-reporting in relevant magazines. 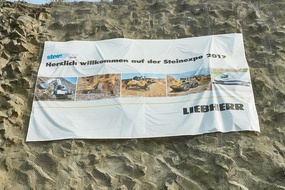 Make use of the opportunity to download information and images from the steinexpo media page. Click here for the exhibitor press releases! ATTENTION! WARNING! Expensive catalog entry in the Expo Guide! The respective presence of your company in the official exhibitor directories and catalogs of our events takes place exclusively through the contact of GEOPLAN GmbH or our reputable authorized partner companies. The company EXPO GUIDE, S. de R.L. de C.V. (formerly "Commercial Online Manuals") is not known to us in any way and we would like to warn you about these Internet company registrations.